How is your week going?? Shhhhh - I'm going to let you in on a secret . . . we're going to be having a pretty serious black friday sale this weekend on loads of 'as is' furniture at the studio! So if you're looking for a project or need a little something to get your creative juices flowing, be sure to visit us on Friday or Saturday this weekend! (more details to come)! For now, lets take a look at what'cha been workin' on, shall we?!? 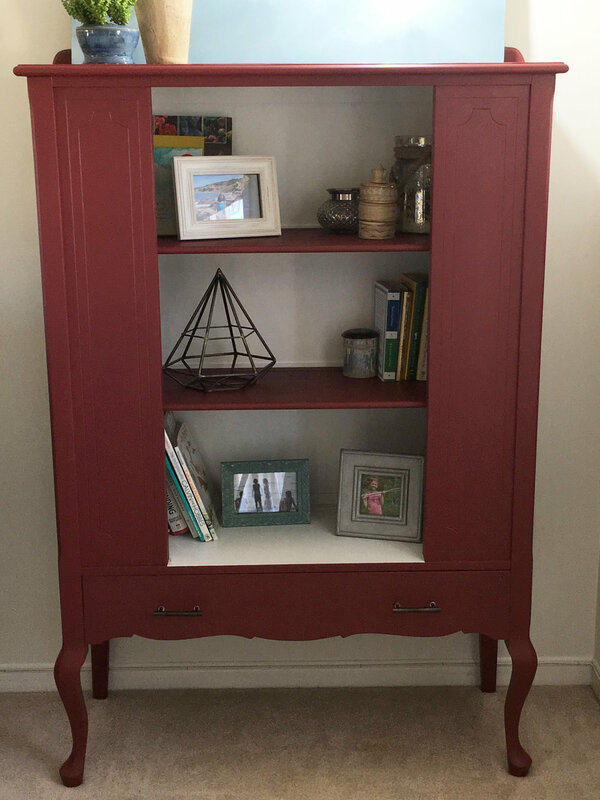 First up this week is a dining hutch painted by Kathy using our Fusion Mineral paint in 'Cranberry'. Kathy joined us this past weekend for our first ever Holiday Maker's Day workshop - she spent a super fun Saturday painting and creating with us and went home with 4 beautiful holiday projects! We have a few spaces left in our upcoming workshops if you would like to join us - last chance before the holidays! Click here to see our schedule. Back to Kathy's cabinet - Cranberry is such a great colour on this! Especially this time of year! Looks beautiful Kathy - nice job! 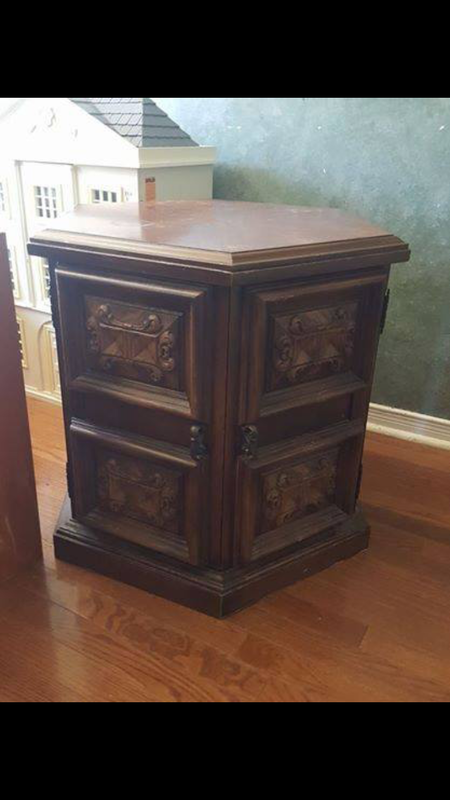 Here is a picture of Kathy's cabinet 'before'. . . 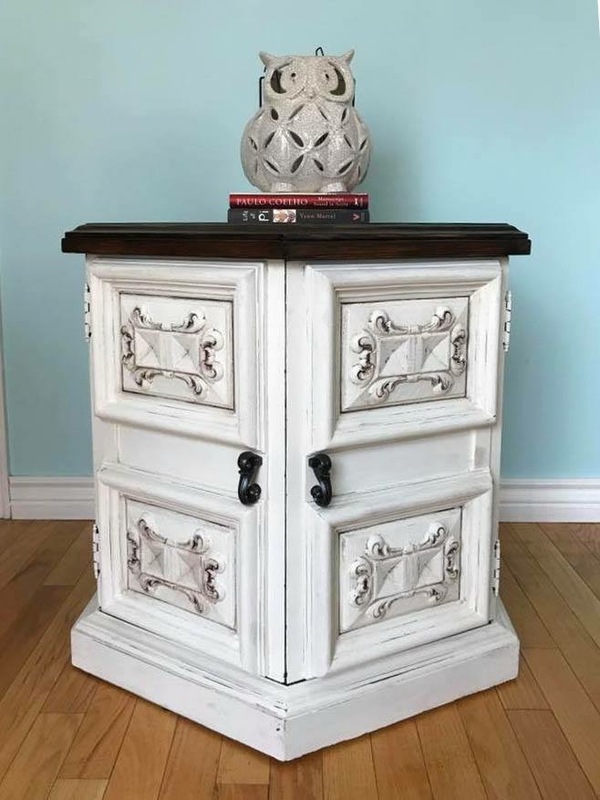 I love how painting the inside of a cabinet in a lighter colour brightens the whole piece - and really lets you showcase your pretty display items! Great job Kathy - thank you for sharing with us! 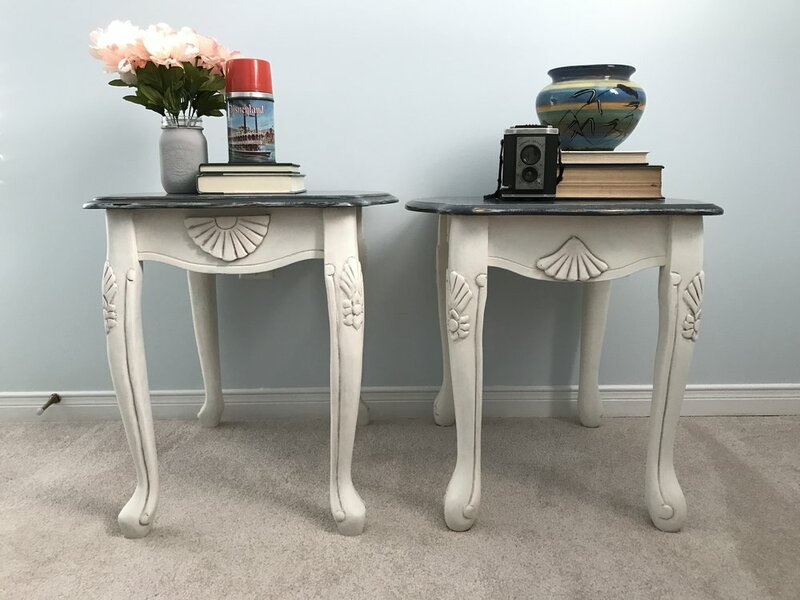 Next up this week are some great end tables painted by Colin. Colin used our van Gogh Fossil paint on these. All of them were painted in 'Chalk' white. 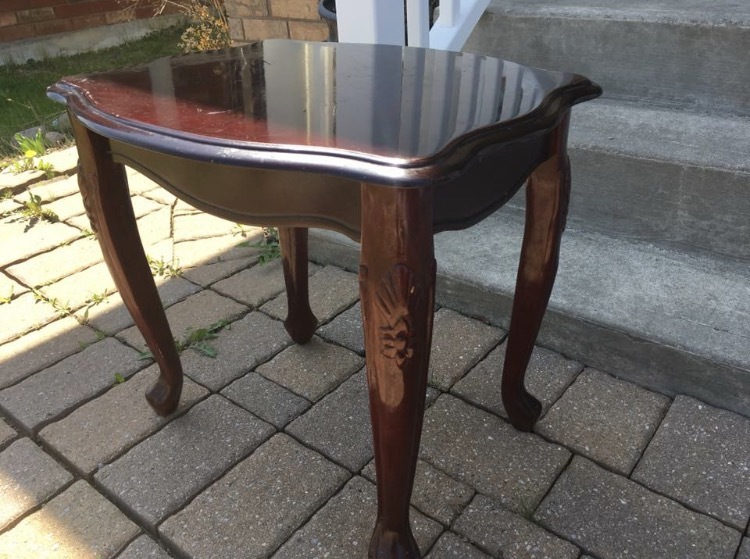 The set of two tables with the shell details had an antique glaze applied and the hex shaped table had a natural and antique beeswax applied. Two great ways to really add some depth and beauty to the details of your painted pieces! Stop by our studio and we can show you how! Here is a look at Colin's tables 'before' . . . quite dark and dated and as you can see they were definitely in need of a new look! Great job (as always) Colin! Thank you so much for sharing with us! Last up but certainly not least is a dresser restyled by Stephen. Stephen picked up this dresser 'as is' from our studio recently. 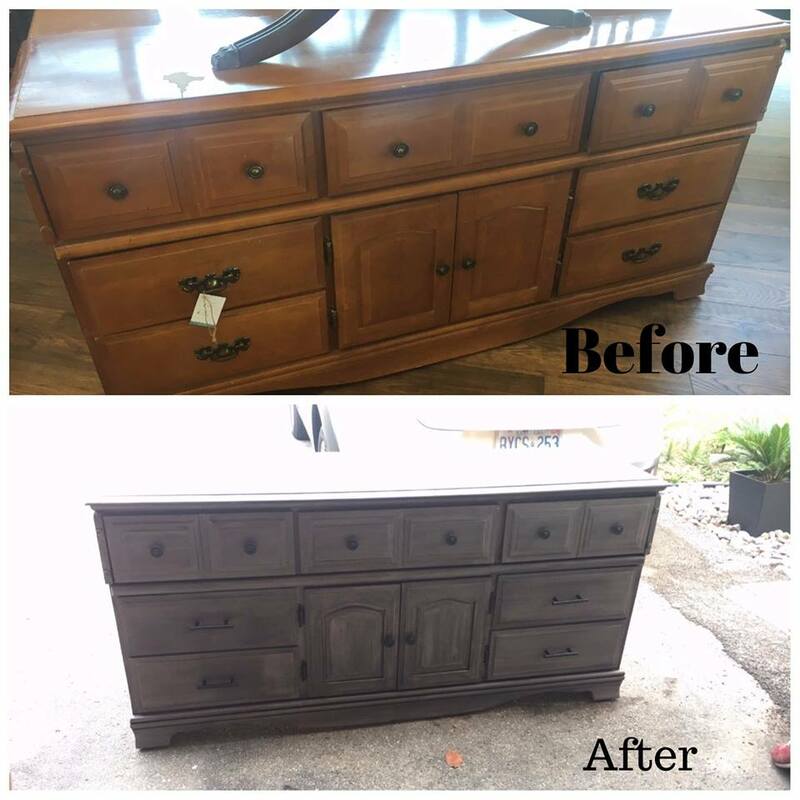 He took it home and gave it a whole new look using our van Gogh Fossil paint in Pyjama Weather with a soft black beeswax finish - looks great Stephen! Great job Stephen - thanks so much for sharing with us! Can't wait to see what'cha workin' on next! Happy painting! Oh! 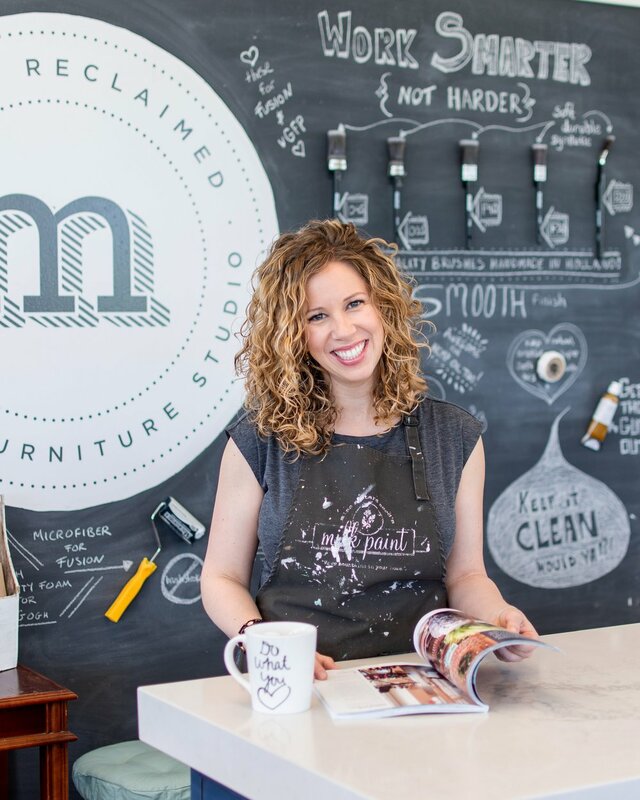 And don't forget super sweet deals on 'as is' furniture coming up this weekend! Stay tuned!